The sun is shining, and spirits are high! You are ready to go out, enjoy the sun and have a good time! In this post I will help you prepare the perfect outfit for every occasion, along with the right pair of sunglasses to elevate your look. 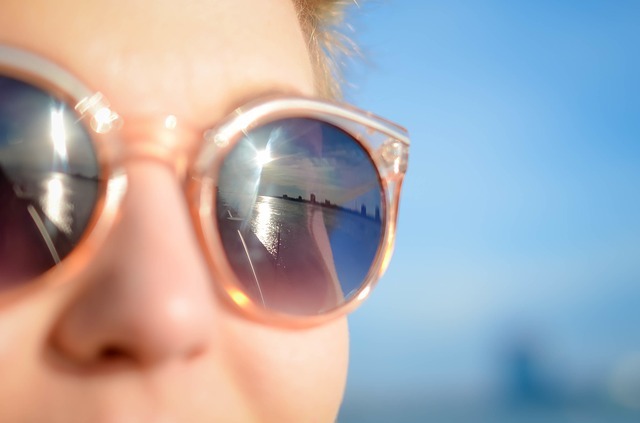 As you know, sunglasses have a strong impact and it is imperative that we get it right! Carrera sunglasses always guarantee a stylish presence, but let’s go into a little more detail about our outings during this season. Sunglasses and pool go really well together so let’s start with this. For me the perfect type of shades for zipping a cocktail by the pool is an oversized frame with mirrored lenses. This style by Carrera is an excellent example. They will protect your eyes from the glare and complement your outfit. An outfit perfect for the occasion would be a floral shirt, a simple skirt and a hat. Not much else is needed. The weather is nice, so why not go for a run in the park? Good for your health and good for your spirits! You need a look that is simple and comfortable yet modern and fresh. These days there are endless choices in sportswear. Go for vibrant colors that will energize you! The ideal sunglasses need to be a perfect fit, so they don’t bother you while running. Carrera offers beautiful athletic designs with moulded nose pads and click-stop hinges that increase grip. Out and about often means using public transport which requires an outfit that is elegant but allows free movement. This is not the time for a tight skirt and high heels. You need a daily outfit that is chic and comfortable. This is the time for your beloved jeans, a light shirt and a small bag so you don’t carry much weight. The right sunglasses? D shaped aviator style glasses by Carrera. The time is right for meeting up with friends after work and enjoying an afternoon cocktail. Clearly the right outfit has one name: cocktail dress! Actually, any floral dress is suitable. Any dress that will lift your mood and make you smile. Cat-eye frames will make you look like a Hollywood star. Carrera offers excellent cat-eye sunglasses and eyeglasses that offer quality and style at the right price. Well, it is always a good time to go shopping. Make sure you read my posts on how to make the most of your purchases and get ready! Make your shopping list and put the perfect outfit on. If you’re on a serious shopping trip make sure you put on your favorite jeans, a white t-shirt and comfortable shoes. Put on your Wayfarer sunglasses so you feel a bit like Audrey Hepburn at Breakfast at Tiffani’s. Smile and have fun! This list wouldn’t be complete without mentioning the office look. You know the look you compile in a hurry every morning before rushing out the door. Make sure you always look presentable by limiting your color palette. You can’t be too far off with white, black, brown and dark blue. An oversized black pair of sunglasses will match brilliantly and make you feel a bit like a movie star. Carrera offers excellent options.